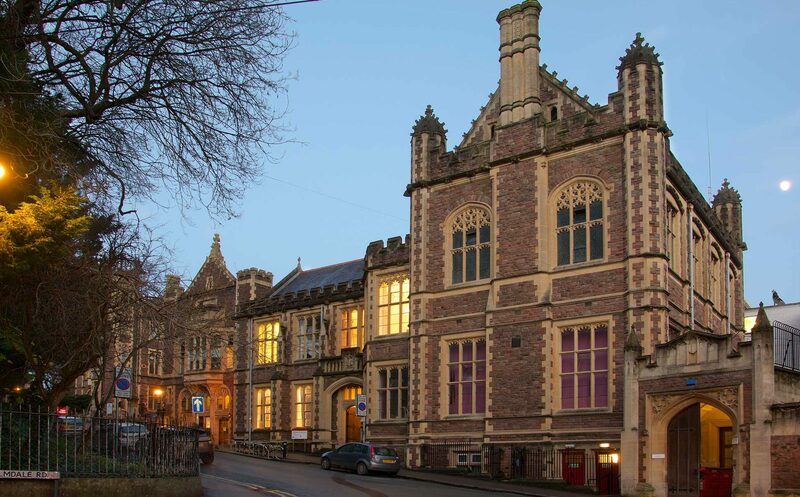 The refurbishment of the Geography building library at Bristol University presented an opportunity for the Estates Department to do something different for their client. The building is a traditional Victorian construction with a nice high ceiling. The tall deep windows were also a stand out feature of the space which also presented a problem. There was a need for acoustic suppression in the space but clearly a conventional ceiling system would not work with the high window lines. 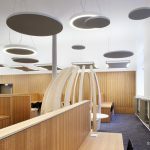 It was decided to use suspended feature islands of acoustic panels to add visual interest but also to allow the perimeter areas space to breath. The challenge was how to integrate an effective and efficient lighting scheme with this. 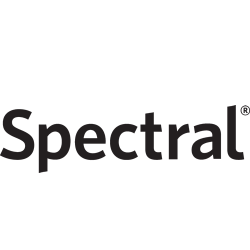 Spectral lighting provided an answer from its Stora-Akoustic series. The range offers high output LED modules that can be used in curved or straight line extrusions. It was decided to create a variance of squares and circles that were deep enough to incorporate a high density acoustic infill material but sleep enough not to destroy sight lines across the space. 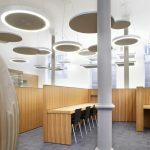 The light versions were supplemented by additional plain acoustic panels to match them in size and style. The luminaire versions also features up lighting elements to accentuate the height of the ceiling. 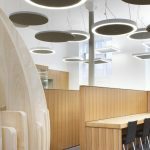 Some panels also incorporated light sensors which provided energy savings along with the control system also supplied by Spectral. Additionally emergency LED lighting heads were also integrated into these to provide the buildings safety needs. The resulting effect is one of a dramatic tall space with acoustics and lighting appearing to hover in space. The circles and squares integrate nicely with the contemporary angular and organic shaped furniture to provide a highly contemporary look in a classic building. The space is very uniformly lit in all dimensions allowing the size of the room to be fully realised. The acoustic suppression ensures a peaceful and calm environment for the students.